Elio Fox has won the first bracelet of the 2018 World Series of Poker after beating a field of 243 to take down Event #2: $10,000 Super Turbo Bounty for $393,693. 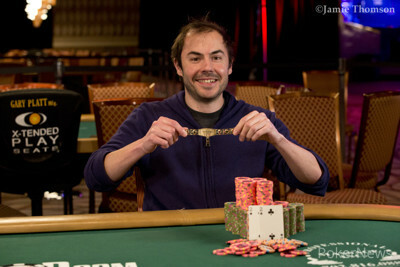 This was the first year this particular format has been included in the WSOP schedule and 2011 WSOP Europe Main Event winner Fox made light work of a final table which featured two-time bracelet winner Paul Volpe, Alex Foxen and former Main Event champion Joe Cada. "There was such a big field," said Fox shortly after his victory, "And I think there was a good mixture of pros and recreational players. I think doing turbos is great because it’s good for non-professional players who can finish an event quickly. The turbo nature of the event meant that stacks were shallow throughout the latter stages, and there were some pivotal moments at the final table, including while five-handed where a double knock-out meant Fox soared into the three-handed chip lead. 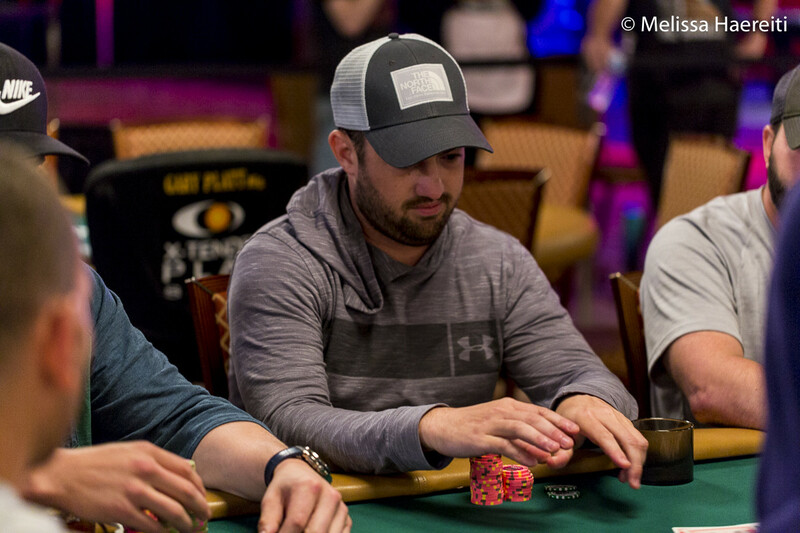 Fox eliminated Volpe and held a 7:1 chip lead heads-up, but an early double from runner-up Adam Adler meant that Fox wasn’t home and dry just yet. No one was quite sure how many players would turn up for the first open event of the 2018 World Series of Poker, but the big names were out in force not only in order to take advantage of the early levels, but to try out a brand new event on the WSOP schedule. 14-time bracelet winner Phil Hellmuth joined the field shortly before the end of the first level, and he was joined by reigning WSOP Player of the Year Chris Ferguson and former Main Event winners Joe Cada, Jonathan Duhamel, Ryan Riess, Joe McKeehen and Qui Nguyen. Multiple bracelet winners Adrian Mateos, Kristen Bicknell, Brian Yoon, Erik Seidel and 888poker Team Pro Dominik Nitsche also featured. The early chip lead was with Rafael Bertani who eliminated a player in the first level of the day to move over 100,000 in chips. He was soon joined by Duhamel and Alan Mastic. With each player holding a $3,000 bounty, the action was frantic with Talal Shakerchi among the players to send multiple players to the rail in one hand, after the British player flopped the nut flush. Bartani was still busy acquiring bounties of his own as he moved past the 200,000 mark with some ease. Bryn Kenney also dispensed of two opponents to move up the chip counts, and after Kenney eliminated 2016 Main Event champion Nguyen, he moved into the outright chip lead. Among the players eliminated before late registration closed were Stephen Chidwick, Dietrich Fast, Jason Somerville, Andreas Eiler, Steve Zolotow and Igor Kurganov. The likes of Fedor Holz, Rainer Kempe, Liv Boeree, Steffen Sontheimer and Joe McKeehen would follow them out the door as the field rapidly shrunk until we were approaching the money bubble. A total of 37 places were paid, with a min-cash worth $10,192 in addition to any bounties won. 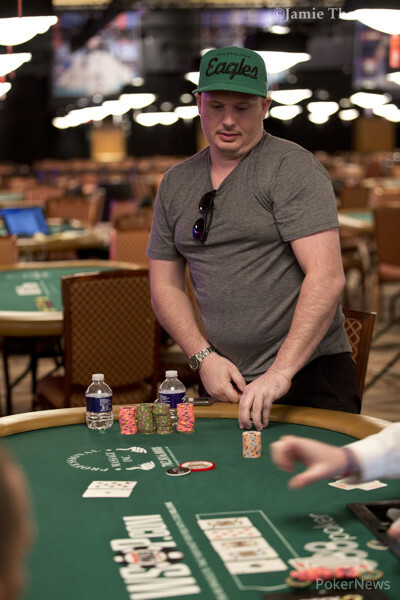 By the time the tournament was nearing the bubble, Kenney was still among the chip leaders but so was Fox. The bubble burst with two clashes between Manig Loeser and Taylor Black. First, Black doubled through the German when his ace-king held against the king-four of his opponent. Then, Loeser ran queens into the ace-king of Black. The flop was safe, but an ace on the turn meant that Loeser missed out on a cash. Among the players to cash in this event were Ben Heath (33rd - $10,192), Albert Daher (29th - $10,192), Rafael Bertani (25th - $11,950), Antoine Saout (23rd - $11,950), Marc Macdonnell (22nd ($11,950), Daniel Strelitz (20th - $11,950), Kenny Hallaert (19th - $11,950), Talal Shakerchi (17th - $14,300), and John Racener (16th - $14,300). Danny Wong was the new chip leader at the final two tables, with Kenney close behind, but Kenney would end up bubbling the final table, finishing in tenth for $21,734. 2009 Main Event Champion Cada would finish in ninth ($27,582) with Taylor Black (8th - $35,671) and David Eldridge (7th - $46,993) not far behind him. 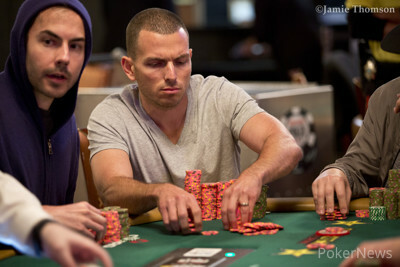 Paul Volpe lead by this stage, with almost a third of the chips in play with six players remaining. 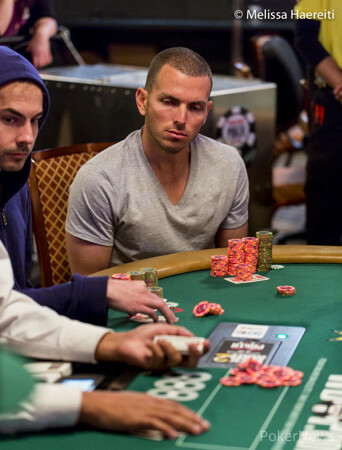 Coming into this year’s WSOP, Alex Foxen had two career WSOP final tables, both coming last year in the $1,000 and $5,000 No-Limit Hold’em (30 minute levels) events, where he finished 3rd and 8th respectively. Here, in another turbo format, Foxen would have to settle for sixth place after he was eliminated by Fox. 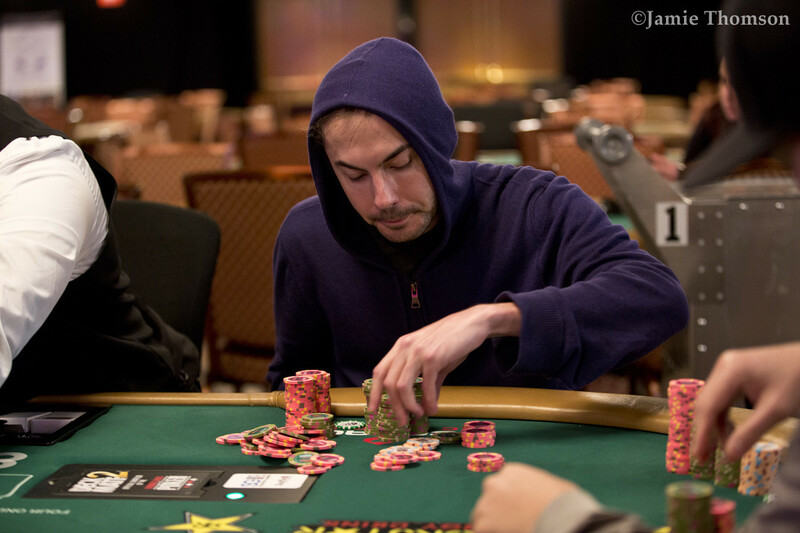 By that time, Fox had caught up with Paul Volpe at the head of the pack, and Fox would proceed to grab a stranglehold of the tournament when he eliminated both Charles Johanin and Danny Wong in the same hand to hold more than half the chips in play. 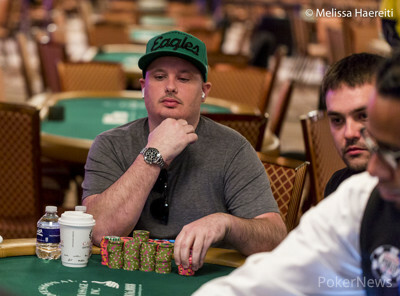 Fox would then move on to eliminate Volpe and hold a 7:1 chip lead heads-up. Adler would secure a vital early double during heads-up play, but Fox moved back into the chip lead and the next time the chips went in the middle, he took down the title, the bracelet and over $300,000 in prize money. Adam Adler raised to 600,000 on the button, Elio Fox three-bet shoved and Adler directly called it off. The board ran out to end the tournament and make Elio Fox the first WSOP bracelet winner of the 2018 series! "Nice hand," Adler said as he shook his opponent's hand. The American walked away with $243,323 in prize money, surpassing his previous best of $161,768. Elio Fox raised to 480,000 and Adam Adler called. The flop of was checked by both players and the turn was the . Adler checked and Fox bet 650,0000. Adler called. The river was the and Adler checked again. Fox announced a bet of 1,600,000 and Adler called. Fox showed for two pair, and took down the pot. Adam Adler raised to 600,000 and Elio Fox defended. Both players checked the flop. Fox bet 750,000 on the turn and Adler called. The river was the and Fox shoved all in, which Adler snap-called for 2,090,000. Another double-up for Adler, who has claimed the chip lead for the first time in this tournament. There hasn't been much play heads-up, with both players exchanging uncalled all-ins. That was until Elio Fox moved all in and Adam Adler announced call for his last 1,705,000. "That's not good," said Fox. The board ran out with Adler taking down the pot. Paul Volpe shoved from the button and Elio Fox called in the small blind without much hesitation. The board ran out - Fox hit two pair on the flop and Volpe hit his second pair on the turn. Volpe needed another 8 on the river to survive but the jack wasn't that and Volpe was sent to the payout desk to register his third-place finish for tonight.